3. Click the Manage Account tab at the top right corner of your screen. 4. Enter the User ID and password you created during your Web hosting purchase. 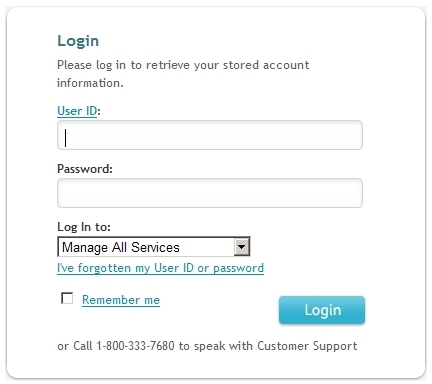 If you've forgotten your log-in information, please visit: https://www.networksolutions.com/manage-it/forget-login.jsp. 5. Click on My Products & Services tab. 6. Click on the My Hosting Packages hyperlink. If you have more than one Web Hosting package, select the package you need to update. 7. Click on the Configurations icon. 8. 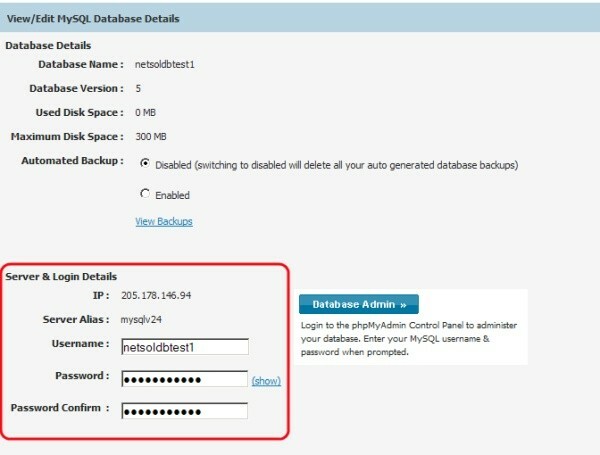 Scroll down to the Configurations section and click on Database Manager icon. 9. Click on the Admin button next to the database you wish to work with. 10. PhpMyAdmin will now launch in a separate window. To import your MySql database click the Import hyperlink. 11. Click the Browse button to locate your database file on your local machine. NOTE: The max file size of your database can be 8MB. 12. Once you have selected the file from your local machine click the Go button to the lower right. 13. You will be provided with a confirmation screen. 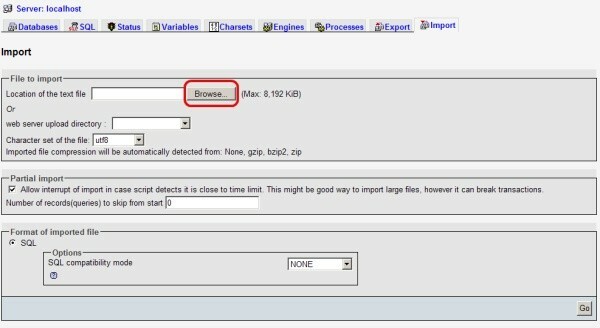 NOTE: If your mysql database is larger than 8MB it cannot be imported thru phpMyAdmin. You can import a database larger than 8MB by using SQLyog. 14. SQLyog is a free MySQL manager and admin tool that can be downloaded at http://www.webyog.com. 15. In order to use SQLyog you will need the following information. How Do I Obtain All of the Database Information? 1. Once you have logged into your Network Solutions account manager click on the My Hosting Packages hyperlink. If you have more than one Web Hosting package, select the package you need to update. 2. Click on the Configurations icon. 3. Click on Database Manager icon. 4. Select the radio button next to the Database you are working with and click the Edit button. 5. All of the Database information will be displayed on the next screen. 4. PhpMyAdmin will now launch in a separate window. To import your MySql database click the Import hyperlink. 5. Click the Browse button to locate your database file on your local machine. 6. Once you have selected the file from your local machine click the Go button to the lower right. 7. You will be provided with a confirmation screen. 8. SQLyog is a free MySQL manager and admin tool that can be downloaded at http://www.webyog.com. 9. In order to use SQLyog you will need the following information. Note: All database information is display by on the main database section of hosting control panel.